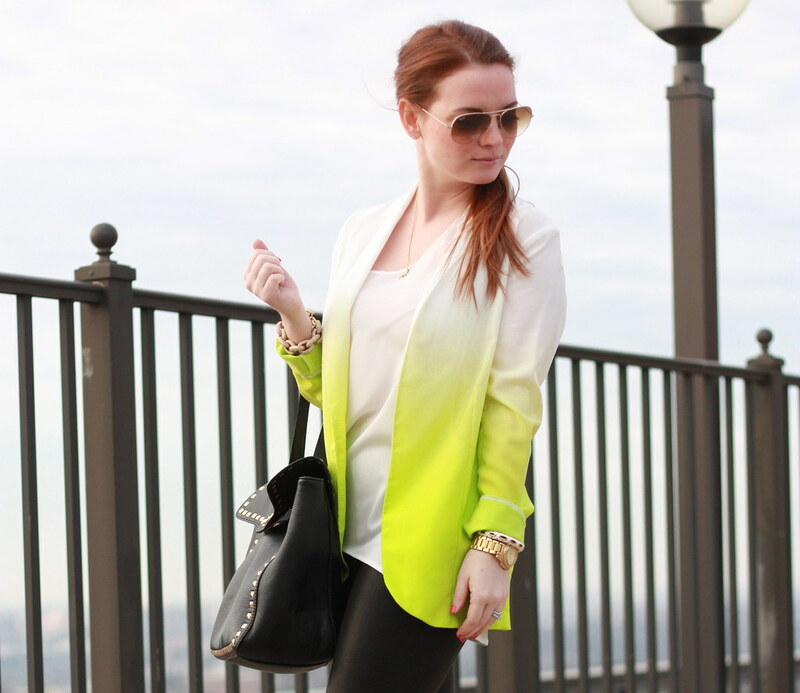 Earlier this week I shared how my obsession with neon has been revitalized, thus inspiring me to pull this ombré blazer out of my closet. I haven't worn it since I went to LuckyFABB last year and felt its reappearance was long overdue. On a side note - and a perfect topic for today, since it's Valentine's Day and all - I'm pretty sure my faux leather leggings and I are in a relationship. We've been seeing a lot of each other lately - and not just on the weekends anymore. You know it's getting pretty serious when you start to get together during the week, too. (They even have their own drawer in my apartment...hey now!) It's just that they play so well with all my favorite pieces. We haven't had the "what are we" discussion yet, but I think I might just skip to "I love you." This is one relationship I'm happy to see blossom, especially after seeing all the faux leather leggings that came down the runway this past week in New York. It doesn't look like their popularity is fading anytime soon! I am still obsessed with the faux leather leggings but still faux leather legging-less! I haven't found a pair that I like yet!! I love this outfit super cute!!!! That blazer is amazing! Love it! Such a cute look! 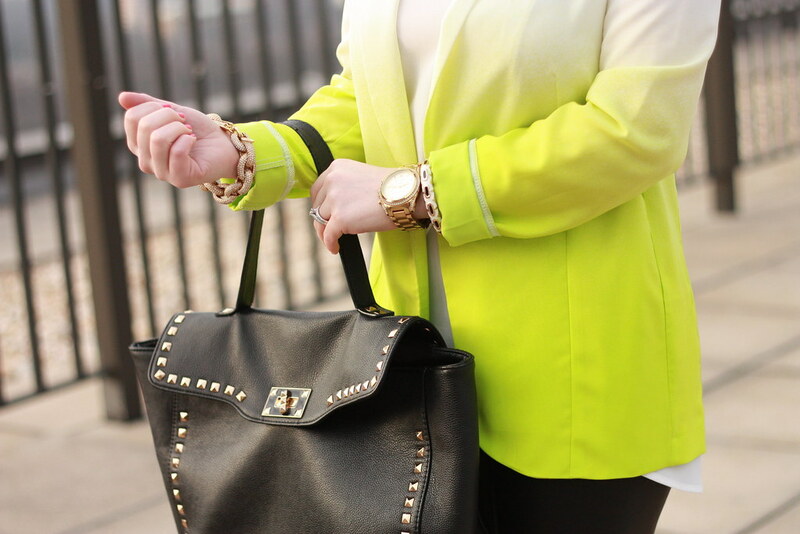 Love love love that blazer!